Tonight, I’ve decided to serve fava beans alongside lamb meatloaf (see post below). 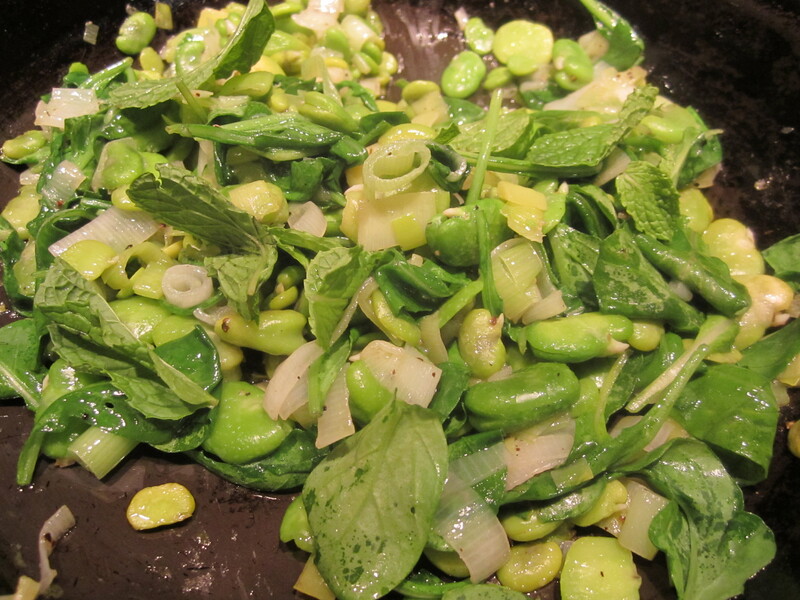 Fava beans are a spring labor of love. 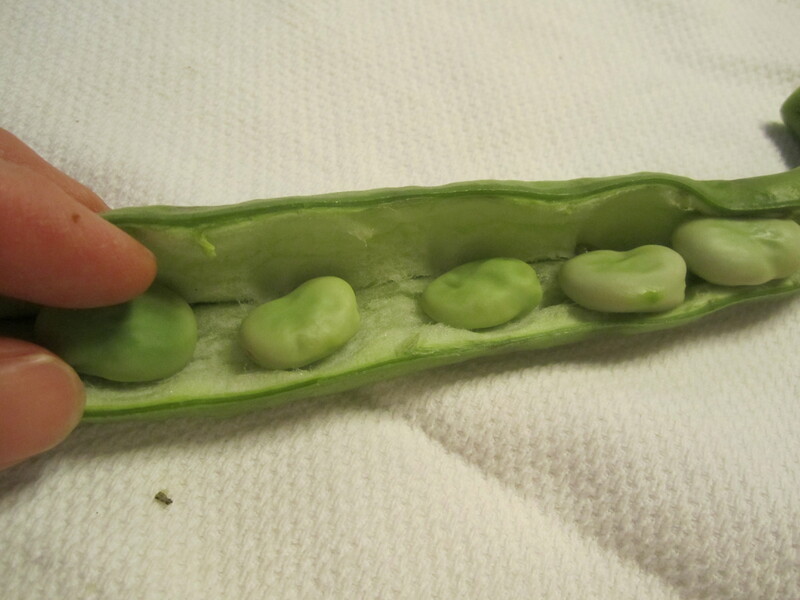 They require shucking from their pods, then each bean requires peeling. This can be a fun activity for the entire family, or for a group of willing dinner guests. To begin the preparation, each pod must be split by hand (not with a knife or you’ll bruise the beans inside) and the beans inside removed (scrape them out with your fingers–they pry out easily enough). Then blanch the shucked beans in boiling water for about a minute. Then shock in cold water for a few seconds, so the beans are cool enough to handle. Next, take each bean and pinch a slit on one side. Note: there is already an apparent “opening” in the bean from which it appears the bean is beginning to burst. Although it seems counterintuitive–that is NOT the place to try to pinch and extract the bean. 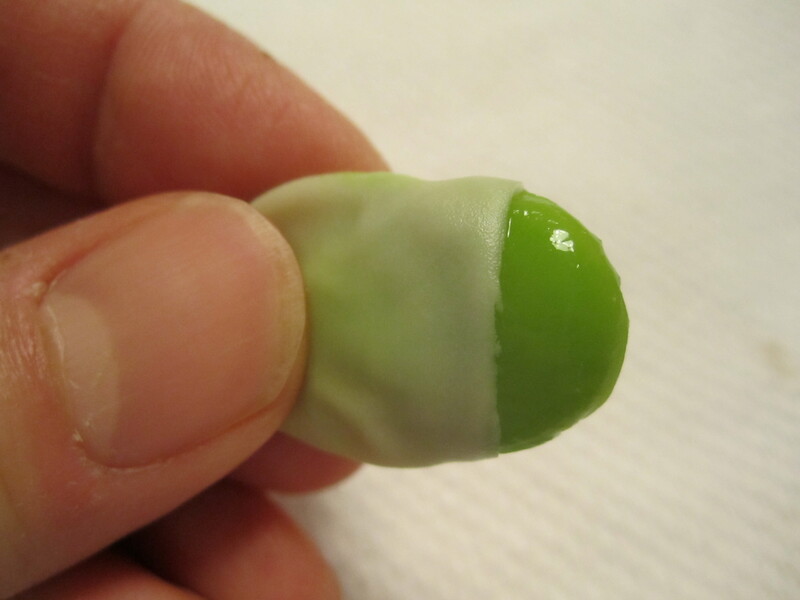 It’s easier to pinch the opposite end of the bean, then the bright green bean will slip right out. After peeling all the beans, proceed with the recipe below. In a skillet, saute the leeks in oil on low heat for about 5 minutes. Add fava beans and saute for another minute or two. Add arugula and toss just until wilted. Turn off flame and add mint, salt and pepper. 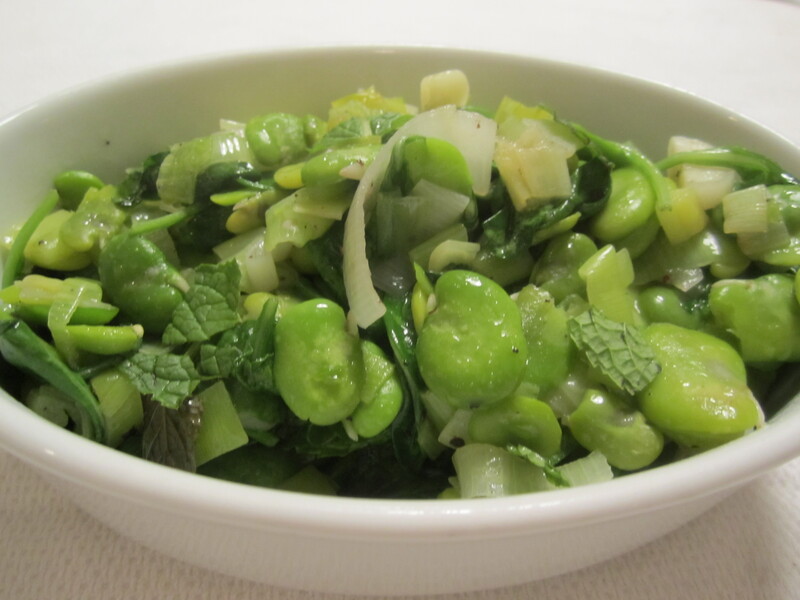 This is great as a side dish or on warm bruschetta. 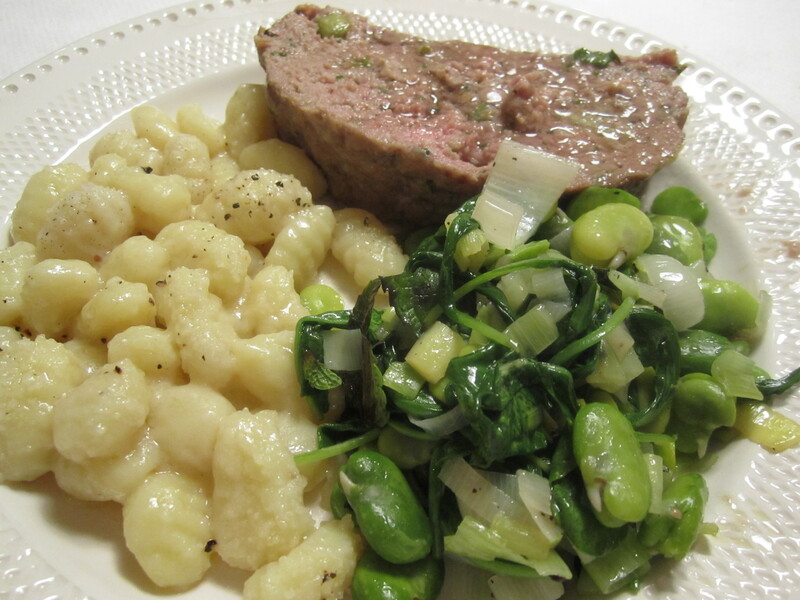 Tonight, in addition to this side dish, we’re having plain gnocchi dressed with butter and parmiggiano (no mint) beside our lamb meatloaf (see post below for meatloaf).